The Bonneville is named after the place where it has found its ultimate utility. For long days out in the salt, making pass after pass at top speeds, or just a beer at Carmen’s after a long day, this boot looks great everywhere. It features the familiar Vibram Christy sole for uncompromising durability on and off the motorcycle, as well as a protective pad to better absorb shift lever wear. It comes standard with an eighth inch insole for added comfort, in addition to the standard insole and leather heel. 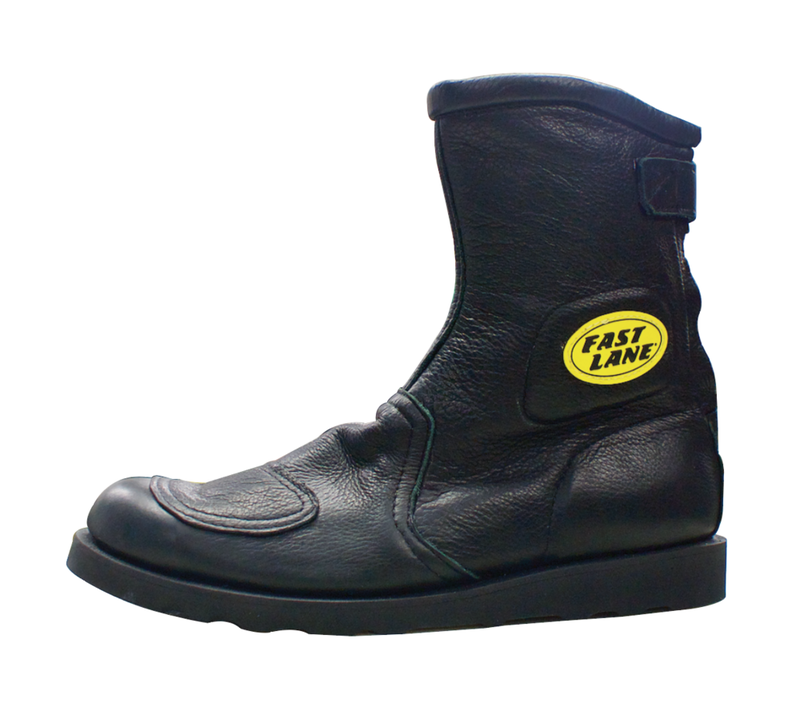 It is available with or without our beloved Fast Lane patch sewn over the ankle pad. Standard in black and chocolate brown, but also available in any color we have in stock. Call for color availability; any special leather requests are subject to service and stocking charges. Have you seen our measurement video?